Nuts about Southwest shows how Southwest Airlines gets it. They understand that building the bridge between the employees and customers is a great concept. Instead of shutting down blogs by employees as Delta did with the Queen of the Sky Blog, Southwest is embracing the new media and will prosper with this relationship. Here is what Southwest has to say about their blog. Nuts about Southwest is all about our Employees, Customers, airplanes, and airports. We really are Nuts about Southwest and we hope that our Readers will share that passion by posting their own comments. Go read the Southwest Airlines Blog . The Centers for Disease Control is asking the domestic airline carriers to invest billions of dollars to develop a system to track all passengers in case of the bird flu or other epidemic breaks out. The costs of such a system would run into the billions of dollars, a cost the airline industry is not prepared to absorb at this time, and they are balking at implementing it. The CDC wants to be able to easily find, notify and recommend treatment to airline passengers who have been exposed to bird flu as well as such diseases as plague, dengue fever or SARS – even if the travelers’ symptoms don’t appear while they’re traveling. Health officials are especially concerned about a flu pandemic. Though bird flu hasn’t yet spread from human to human, they fear it could mutate into a strain that does. The CDC plan calls for airlines to ask passengers their full name and address, emergency contact numbers and detailed flight information. Airlines would have to keep the data for 60 days and, if asked, transmit it to the CDC within 12 hours. Civil Liberty advocates also are against such a plan as it would violate an agreement with the European Union. Barry Steinhardt, an American Civil Liberties Union attorney, said the U.S. government blithely ignored its agreement with the European Union that it wouldn’t share passenger records. He also doesn’t think the CDC plan will work. Royal Caribbean Cruises posted revenue that was 37 percent less than the a year ago during the busiest quarter of the year. The cruise line was not disappointed with the earnings report, but with all the bad news over the past few months, cruising as a whole has taken a hit. Profit in the January-through-March quarter dipped to $119.5 million from $189.6 million. Revenue fell 2 percent to $1.15 billion from $1.17 billion. But the world’s second-largest cruise ship operator managed to beat Wall Street’s expectations, as its stock rose $1.22 to $42.77 in New York Stock Exchange trading. Royal Caribbean’s upbeat outlook contradicted a more cautionary note that sounded last month by its Miami-based rival Carnival Corp.
Royal Caribbean profit falls 37% . The huge levels of credit card fraud is ruining many vacations. When you make a purchase outside of your normal pattern, the credit card companies software picks this up. They may try to contact you, and if they are unable to, will put a hold to avoid false charges on your card. As the credit card companies are liable for this, they are well within their rights to protect their interests. MSNBC travel has an article on this trend, and things you can do to protect yourself. Call your credit card company or the bank that issues your card and let them know your travel itinerary — both dates and destinations. Make sure you have the issuer’s special toll-free number for overseas customer service. The regular 800 number, which is usually listed on the back of the card, will not work outside the United States and Canada. Make a note of your card number and the overseas customer service number, and keep them in a safe place separate from the card. That way, if the card is stolen, you will have the necessary information to make a report. Even with advance notification, you may not be able to spend as you please while you are abroad. Certain charge patterns will still arouse suspicion, and your card may be subject to spending limits, so you should always carry a second credit card. via MSNBC.com . The Registered Traveler Program is an initiative that will allow private companies to pre-screen airline travelers for an annual fee to allow them to pass by the majority of security procedures and save time at the nations airports. The program is being tested in Orlando presently, but is now being readied to roll out to 10 to 20 other airports across the country. The program is run by private companies and does background checks on travelers and if approved, provides expedited security lanes for these travelers. The Drudge Report had a flash tonight saying that Cendant is planning on selling its Travel Businesses including Orbitz and Cheaptickets. The expect price is 4 Billion Dollars. The 22 brands within Travel Distribution Services are: AoYou.com, Asia-hotels.com, Away.com, Cendant Travel, CheapTickets, ebookers.com, Galileo International, Gullivers Travel Associates, HotelClub.com, Lodging.com, Neat Group, OctopusTravel, Orbitz, Orbitz for Business, RatesToGo.com, Shepherd Systems, THOR, Travel 2/Travel 4, Travel Bound, Inc., Travelport, TRUST International and WizCom. 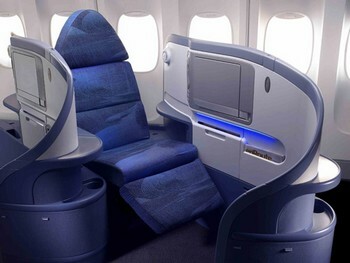 CNET has an amazing pictorial on the future of the airlines. While the pictures remind me of the auto industries concept cars, it still makes one wonder on the future of airline travel. Of course, lets look at the reality of the airline travel. The airline industry is cutting back at every opportunity and the low cost carriers are setting the tone for the industry. But a man can dream. The FAA team buckled and granted Category 1 status to Venezuelan airlines to avoid the threat of US airlines banned from entering Venezuela. So planes that were considered unsafe will now be considered safe as the FAA bows to political pressure. The decision came after an FAA team visited Venezuela late last month to examine Venezuelan airlines’ planes and procedures within the country’s aviation authority. The FAA had recognized the “efforts to improve the level of aviation safety oversight in Venezuela” made by the National Aviation Institute, or INAC, the statement said. The Venezuelan government had protested its lower Category 2 ranking, which prohibited Venezuelan airlines from flying their own planes to the U.S. or from launching new services such as expansions in routes. I hope anyone thinking of flying on a Venezuelan airline will take the recent decision under consideration by the FAA as a political one. And I pray that when there is a crash by a Venezuelan aircraft, the FAA is honest on why they allowed the planes to fly in this country again. May Anderson, a supermodel who has appeared in Sports Illustrated’s Swimsuit Edition, has been arrested for assaulting a flight attendant on a Martinair Flight between Amsterdam and Miami. She was arrested for simple battery, resisting arrest, and disorderly intoxication. The 23-year-old bombshell was aboard Martinair Flight 643 on Thursday. She was ”loud and disruptive all throughout the flight,” according to a Miami-Dade police spokeswoman. Airport police arrested the woman when the flight landed. She continued her unruly behavior with officers, police said. Andersen was taken to Jackson Memorial Hospital to check for signs of alcohol or drug abuse, then booked into Miami-Dade County Jail. 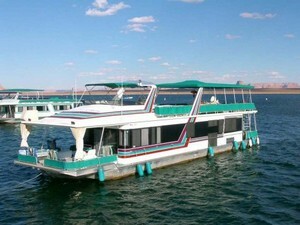 Are you looking for the best places to take you houseboat this summer. While not designed for the rough ocean waters, a houseboat can be a delightful opportunity to get away from it all. These lakes on the list tend to be large enough for you to find a private cove, but large enough that you are close to any amenity that you would need while houseboating. If you are looking to rent a houseboat, Go Play Outdoors has a good list of companies. Looking to buy a houseboat, the National Houseboat Expo has a ton of information.